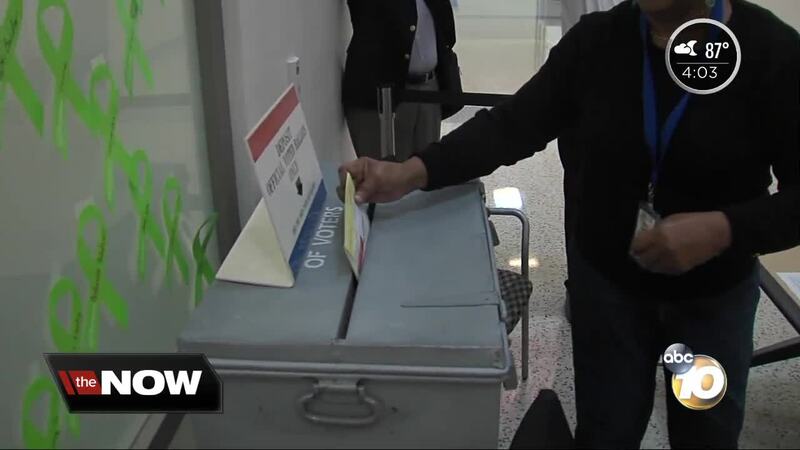 SAN DIEGO (CNS) - California’s gubernatorial candidates, Lt. Gov. 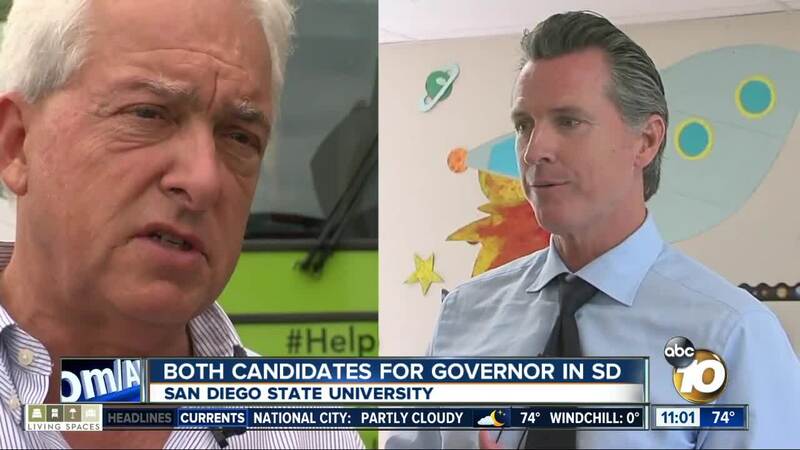 and Democrat Gavin Newsom and Republican John Cox, brought their campaign bus tours to San Diego Friday. Newsom, a California State University Trustee, held a rally with the California Faculty Association. Newsom has expressed support for a more diverse CSU faculty and balked at the idea of raising tuition costs for California's public universities, two issues paramount to the CFA. For Newsom, the final pitch is focused on educating children in the first three years of life and on his pledge to stand up to Trump. He's has largely ignored his rival, focusing his attacks on the president. "A bully calls you out, you gotta push back," he said of Trump. "We don't have to be navel gazing. We're not a small isolated state. This is California." Cox brought his bus tour to the Registrar of Voters office in Kearny Mesa. He expressed confidence, despite polls showing him with a double-digit deficit. As people get to know him, he said, they'll like what they see. For his closing argument, he's sticking with a message he's been hammering for months — California is too expensive, and it's the fault of politicians and interest groups invested in keeping it that way. 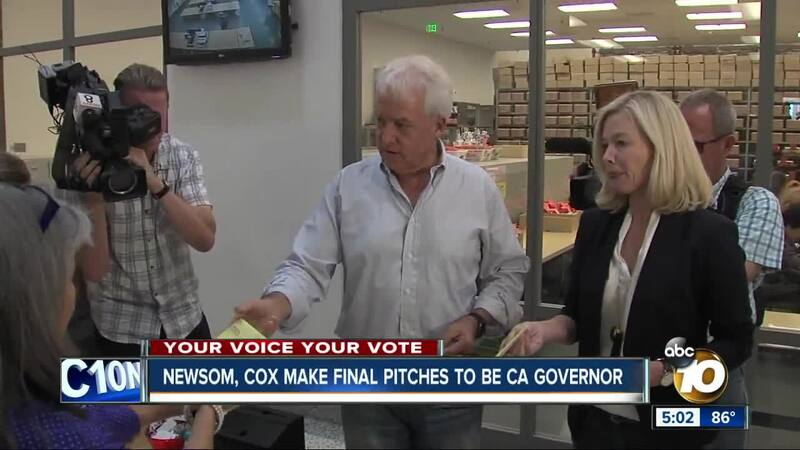 "The cost of living has just been so elevated by the political class that people can't afford it," Cox said told reporters. With much of the nation gripped by the fight for control of the U.S. House, so too are the candidates for governor in a race that's often taken a backseat to the congressional races that will determine whether Democrats gain the power to investigate President Donald Trump and thwart his legislation.